Rainbow Stationery Paper by Desktop Publishing Supplies, Inc. is the perfect background for your letters, flyers, or framed inspirational quotes. 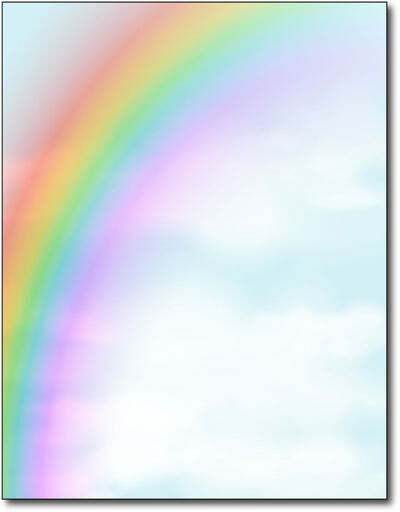 This design features a beautiful, colorful rainbow over a cloudy sky. This rainbow writing paper works perfect for spring or summer letters or flyers. The design is sure to impress!